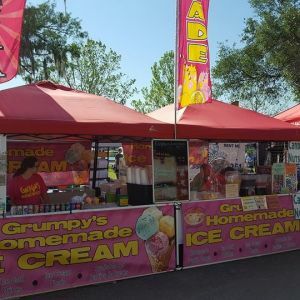 This page lists food trucks and food stands available to set up at kids' birthday parties and events in the Ocala, Florida area. Brain Freeze Italian ice is a family owned business. 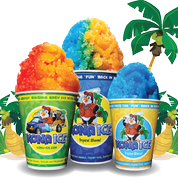 We offer hand dipped Italian ices with many refreshing flavors. We are a local food truck serving all of your favorite foods. We will travel wherever we are wanted. Mel's Island Cafe & Catering on "Wheels"
Mojo Grill and Catering Co.
Food truck with an Island twist. Great food and great people meet here. Smokin Swamp is a BBQ stand on the North East corner of NE 49th Street and Old Jacksonville Road. We are a Mobile Food Establishment dedicated to bringing you unique but authentic Latin cuisine from both South America and the Latin Caribbean. We are a local food trailer looking to bring the various food tastes of New Jersey down to the sunshine state and surrounding areas! Come see us!